Unabashed welterweight blackguard Josh Koscheck will once again step inside the hornet's nest as he face George St. Pierre. This coming December 11, will GSP beats Kos, or will this be another version of Wrestlemania? 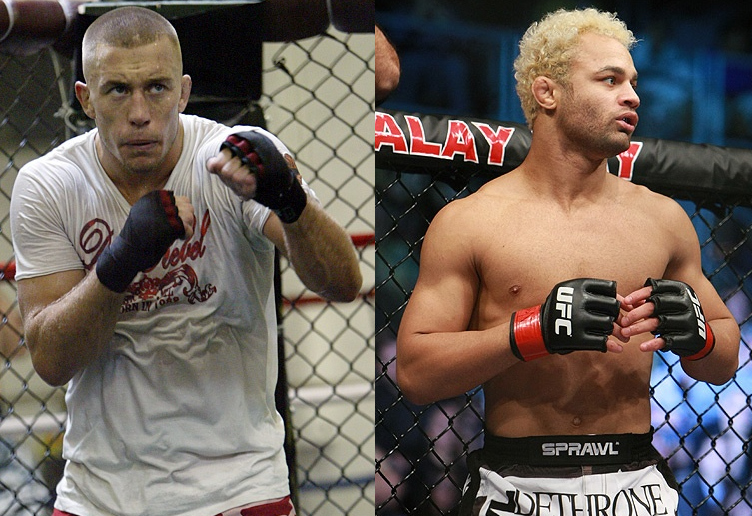 MMACanada.net delivered a good news today that the welterweight villain Josh Koscheck will once again battle the 170-pound kingpin, George St. Pierre, at Bell Centre in Montreal, Quebec, Canada on December 11. “Kos” is coming from a recent coaching stint at The Ultimate Fighter Season 12, and got a three consecutive wins in his record, after his bewildering loss against Paulo Thiago at UFC 95. GSP, on the other hand, has the ability to dispose every would-be contender, including his team-mate Jon Fitch. After his fight against Matt Serra at UFC 69, GSP cruised a three-round win via unanimous decision in his non-title bout against “Kos.” Since their first match at UFC 74, both fighters have evolved deliberately. If their next fight will be another Wrestlemania, or if GSP will re-establish himself as the most complete fighter, we’ll find out on December 11.